Responsible for the organization and distribution of a dry and readable newspaper to local and county community members. 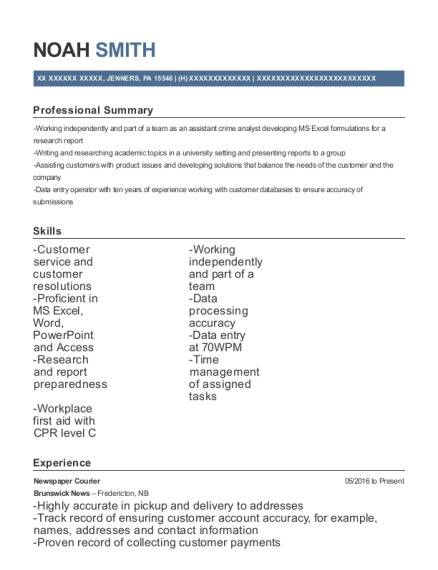 Create, maintain, and enter information into computer to create reports in accordance with company procedures. Performed receptionist skills Accurately maintained medical records of patients according to the HIPPA Laws Processed, ordered, and assembled medical supplies for patients and nurses for home health care Assisted the Supervisor and staff members when needed Communicated with doctors and nurses in other clinics concerning medical records. Evaluated and processed suspect items from a warning report for fraudulent activity. Clarified the authentic and availability of funds by telephone or fax with clients and other banks. Responsible for researching microfilm and providing computerized copies of banking documents for internal/external clients, lawyers, and other banking institution. Viewed and verified that the accuracy of the printed request met quality standards. 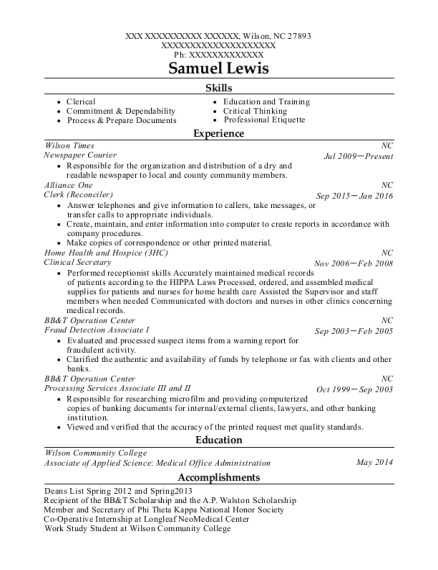 This is a resume for a Newspaper Courier in Wilson, North Carolina with experience working for such companies as Wilson Times and Alliance One. 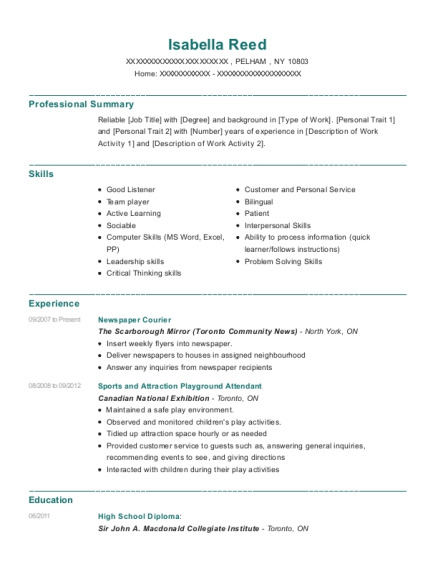 The grade for this resume is 0 and is one of hundreds of Newspaper Courier resumes available on our site for free. 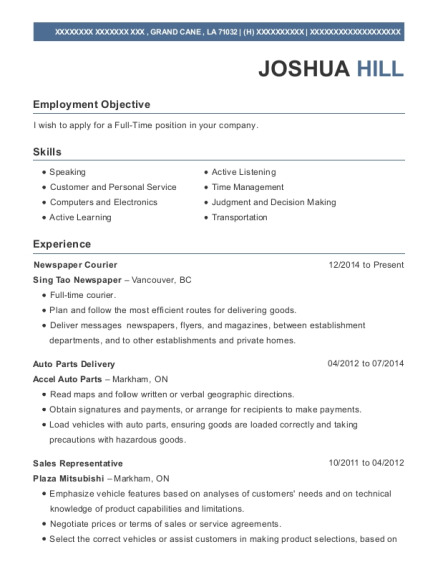 Use these resumes as templates to get help creating the best Newspaper Courier resume.